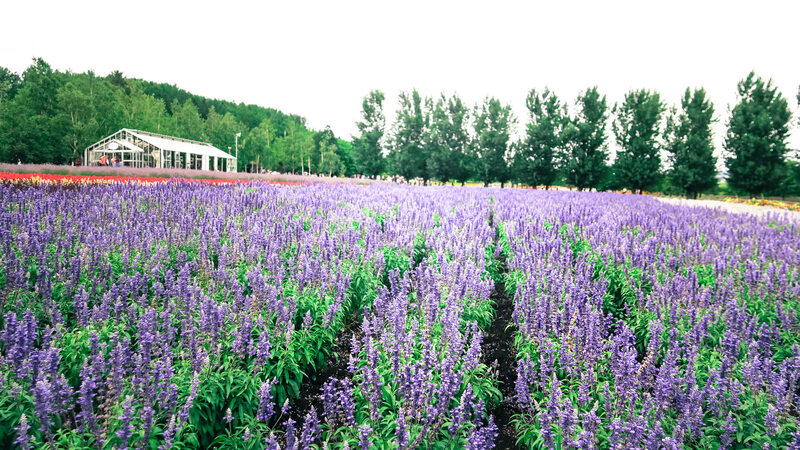 It is a rare opportunity to have an entire flower field for ourselves without distraction. 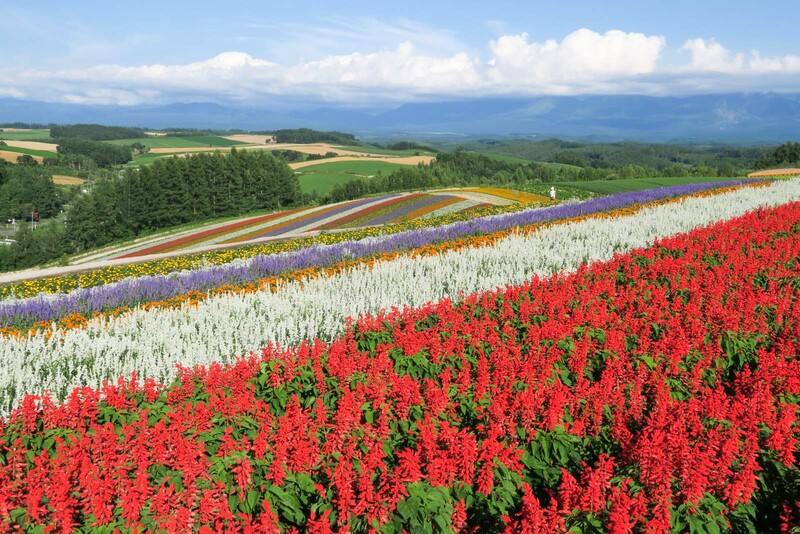 Full blooming flowers amidst the Hokkaido fresh highland air, it is pleasant to see the charming colors in their most tranquil form. Sea of flowers forming the most colorful natural carpet on gently rolling hills, unintentionally inducing jealousy of the rainbow above them. 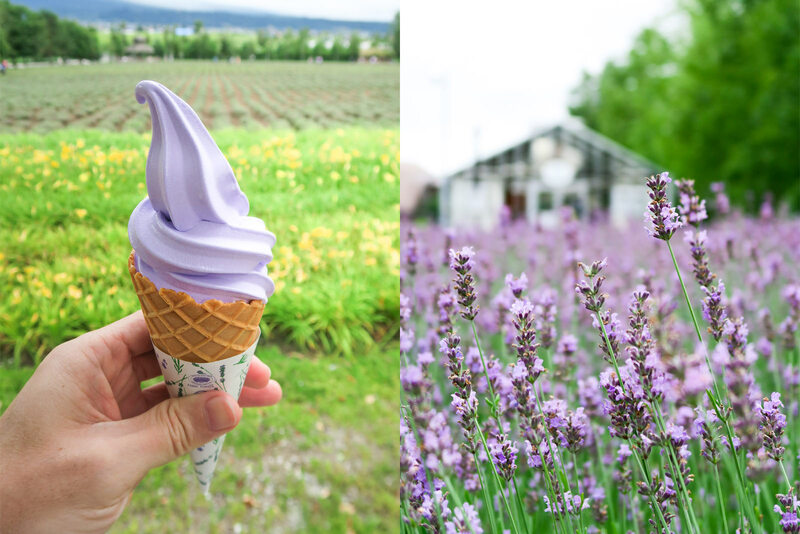 While purple starts to give way to other colors, mid-August perhaps is not too bad a time to visit Hokkaido farms, without having many people coming into your line of sight. Same for ourselves, we do not want to be too much of a distraction for other flower aficionados and selfiers as well. 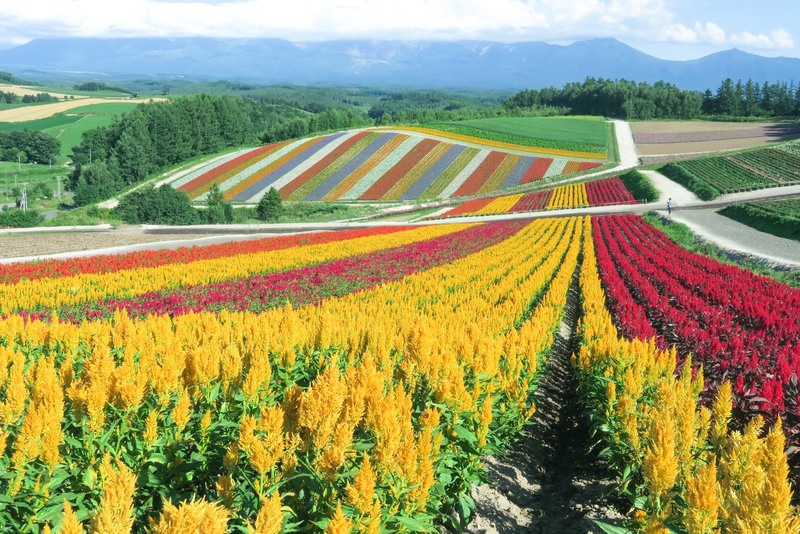 After all, we are here to witness picturesque flower landscape in its best form of the year, not landscape of human. Photos captured with a compact camera.